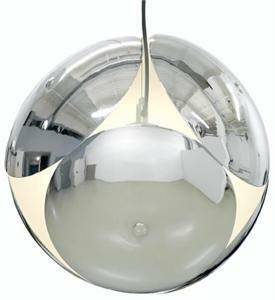 Pia Pendant , ultra modern ceiling light is a style statement indeed. The chrome exterior, forming a conical center stem has 3 halogen bulbs on short stalks and 6 chromed plates attached to center socket. 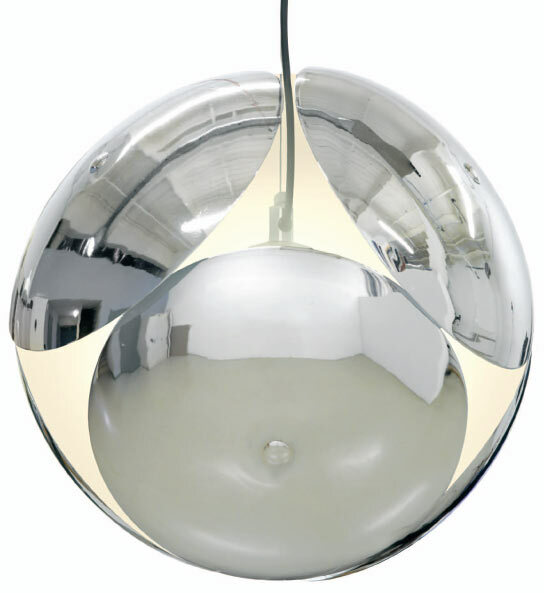 The whole lights is suspended from the ceiling by 72" Cord, making it adaptable and versatile for any space.